a new set of media partnerships and ads offerings designed to meet the unique needs of mobile app marketers. By partnering with these leading ad platforms and tracking systems, we believe we can make the entire mobile apps ecosystem stronger and more connected — all with the goal of making developers more successful. ,1 with 80% coming from mobile.2 In these moments, consumers have heightened expectations for immediacy and relevance — 4 out of 5 say they want search ads to be customized to their city, zip code or immediate surroundings.3 That’s why we continue to develop richer local ad formats that deliver more relevant information based on what someone searches for. Last year we enhanced location extensions to show up to three different locations for a business in a single ad unit. This improvement offers consumers the flexibility to choose which of your locations is most convenient for them. 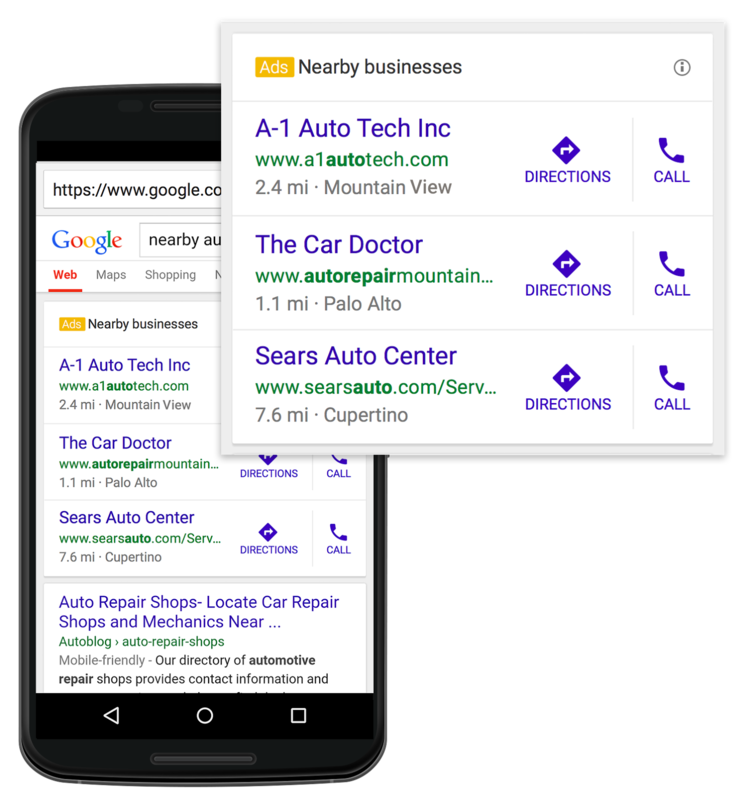 Starting today, we’ll show three or four different businesses for location-related searches like “nearby auto repair.” Each ad unit will feature click-to-call and directions right at people’s fingertips. This new format organizes the information that your on-the-go customers need so they can easily compare options and take action, like calling your business or visiting your store. If you have location extensions enabled in your account, you’ll be eligible to show these new mobile ad formats. With a world of information at their fingertips, consumers want what they want, right when they want it, so it’s essential that ads are fine-tuned to be relevant to people's contexts. In addition to location extensions, there are many types of extensions in AdWords that can make your ads more useful and engaging — and they deliver, on average, a 10% increase in click-through-rate.4 Showing more than one extension on an ad tends to see even higher engagement than that. Sitelinks Try to enable at least six sitelinks for both desktop and mobile users. Briefer sitelinks are generally the most effective, so try to keep them short and crisp. Callouts Like sitelinks, you’ll want to keep these short. They’re best used with specific and concrete information, like sizes or rates. Reviews As long as you’re quoting or paraphrasing from a reputable third-party source, you can apply one review to your entire account. These are possibly the fastest extensions to put into place. The specific extensions that are displayed in each auction are a function of previous performance, user context and available space on the page, among other factors Enable whatever makes sense for your customers and the AdWords system will decide the best combination of those options to maximize the value you get from your extensions. For Accor Hotels, a strong combination of extensions led to a 14% increase in incremental conversions. Accor Hotels’ use of the right extensions for their business helped them meet their goals of driving online and offline conversions, giving customers the information they were seeking, and reinforcing customer trust. This ad for Novotel, Accor’s four-star International midscale brand for business & leisure travelers, checks off all of the right boxes. Sitelinks drive online conversions, a location extension (with a phone number) allows for an offline customer interaction, while customer ratings and social extensions reinforce customer trust. For more details about the new format of location extensions, head over to the Help Center. 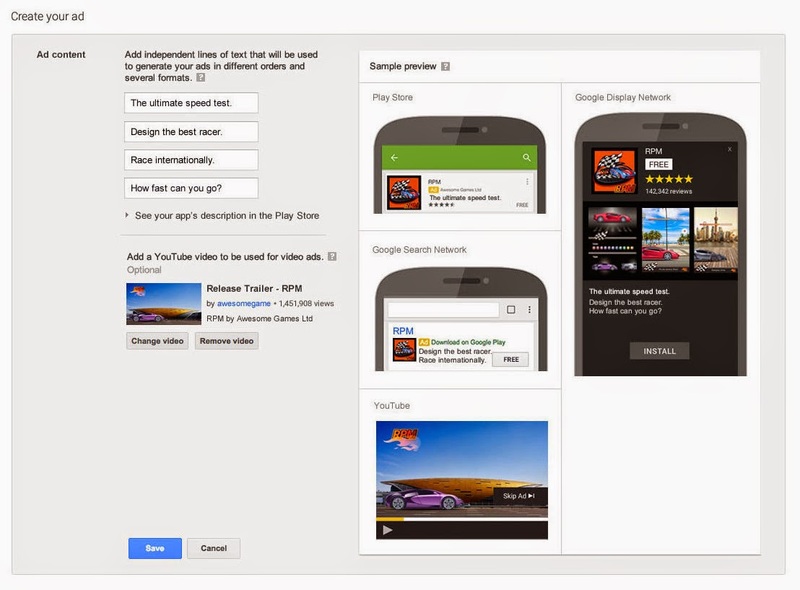 And for more ad extensions Best Practices, check out our full collection on the Help Center. 1 Google Trends, Data pulled March 30, 2015. 2 Google Data, Q4 2014. 3 Google/Ipsos MediaCT/Purchased, Research: Understanding Consumers’ Local Search Behavior, May 2014. 4 Google Internal Data, results vary by client, business type and extension type (among other factors) and Google cannot guarantee this or any uplift. Now more than ever, people search online to find things nearby. In fact, Google search interest in "near me" has doubled since last year,1 with 80% coming from mobile.2 In these moments, consumers have heightened expectations for immediacy and relevance — 4 out of 5 say they want search ads to be customized to their city, zip code or immediate surroundings.3 That’s why we continue to develop richer local ad formats that deliver more relevant information based on what someone searches for. Built on the cards platform we announced last month, TrueView for shopping enables advertisers to scale the manual process of connecting individual products with individual videos. 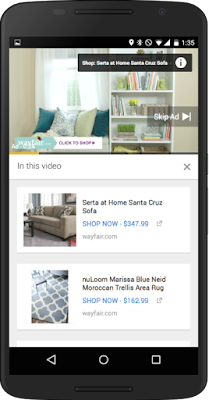 Thanks to the first-ever integration of the Google Merchant Center into video ads, advertisers need only connect their campaign with a Merchant Center feed to dynamically add products to their in-stream videos, customized for each user through contextual and audience signals like geography and demographic info. Brands that have participated in our early tests of TrueView for shopping have seen strong results for driving interest and sales. Online home goods retailer Wayfair, for instance, saw a 3X revenue increase per impression served when compared to previous campaigns. And beauty retailer Sephora took advantage of this new ad format to drive +80% lift in consideration and +54% lift in ad recall, and an average view time of nearly two minutes. We’re excited to bring TrueView for shopping into our buying front end in the coming months. 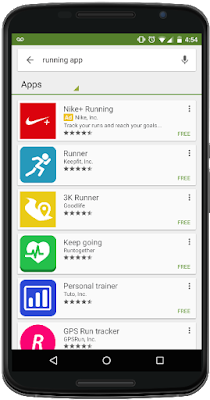 If you’d like to get started with TrueView for shopping today, please contact your Google account manager. 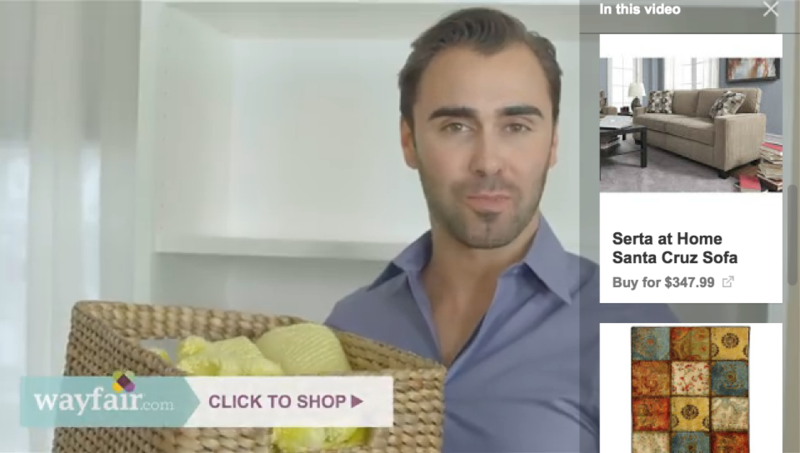 TrueView for shopping allows you to showcase product details and images – along with the ability to click to purchase from a brand or retail site – all within your video ad. It’s available for TrueView in-stream video ads on YouTube. And since we know that 50% of views on YouTube come from mobile devices, we’ve made sure that it works seamlessly across mobile phones, desktops, and tablets. AdWords Editor now supports labels, Upgraded URLs, ads in apps, and more! AdWords Editor 11.0, which represented the most significant update to the tool since it was released in 2006. Today, we’re introducing another exciting update to AdWords Editor, available to all advertisers globally. This version includes full support for labels, Upgraded URLs, call-only ads, ads in mobile apps, and much more. Let’s explore further. Based on your feedback, AdWords Editor now has full support for labels. Labels are an effective way to organize objects in your account, like campaigns and keywords, into meaningful groupings so you can quickly and easily filter and report on the data that’s most relevant to your business. Now you can create, edit, or delete labels using the Labels tab under the Shared library in AdWords Editor. Assign or remove labels to and from your campaigns, ad groups, keywords, and ads in their respective data views. You can also filter your views using labels as well as export and import any account changes related to labels. Earlier this year, we introduced Upgraded URLs to help you save time when managing URL tracking information, reduce how often Google crawls your website, and provide access to new ValueTrack and custom tracking parameters. To help you upgrade to the new system by July 1st, we’ve added support for Upgraded URLs. You can now upgrade your destination URLs using AdWords Editor, and once you’ve upgraded, manage your final URLs and tracking templates at scale. You can learn more about how to upgrade your URLs in our Help Center article. Call-only ads represent an easy and efficient way for mobile consumers to connect with your business over the phone. Now you can create and manage these ads in AdWords Editor. By showing ads in mobile apps, you can reach the growing number of people using mobile devices to play games, listen to music, and stay entertained. Under “Keywords and targeting,” you can now choose to show your ads for certain categories of apps, including specific apps (or placements) and mobile app categories, like Games and Shopping. Demographic targeting enables you to reach people across the Google Display Network (GDN) who are likely to be within a particular demographic group. In addition to gender and age, you can now select to reach your customers based on their parental status. We’ve also added support for custom affinity under Audiences. Using custom affinity audiences, you can create your own affinity audiences, tailored to your business, to reach the right customers who are interested in your products or services. This latest version of AdWords Editor also features improvements to the search bar, more localization support, and enhancements to overall UI navigation. You can learn more about all the new features in our Help Center article. Upgrade to AdWords Editor 11.1 today! Late last year, we introduced AdWords Editor 11.0, which represented the most significant update to the tool since it was released in 2006. Today, we’re introducing another exciting update to AdWords Editor, available to all advertisers globally. This version includes full support for labels, Upgraded URLs, call-only ads, ads in mobile apps, and much more. Let’s explore further. With so many ads on the internet, learn how to design effective display ads that will break through the noise, inspire people to take action and drive strong engagement. Since consumers shift their attention in the blink of an eye, you want your display ads to leave a lasting impression. View and download our checklist now to create high-impact display ads. Billions of times per day, consumers turn to Google for I want-to-know, I want-to-go, I want-to-do, and I want-to-buy moments. And at these times, consumers are increasingly picking up their smartphones for answers. In fact, more Google searches take place on mobile devices than on computers in 10 countries including the US and Japan.1 This presents a tremendous opportunity for marketers to reach people throughout all the new touchpoints of a consumer’s path to purchase. Businesses around the world are measuring the impact of their search and display campaigns as consumers switch between multiple devices, using cross-device conversions. And with mobile searches driving in-store commerce, we're helping businesses measure the full impact of their campaigns. Our store visits measurement is now available in the US, Canada and Australia and will roll out for thousands of advertisers in 10 countries in the coming months. But there's so much more to come. This morning, we announced more AdWords innovations in front of a global livestream audience of 20,000 customers. Below are highlights from today’s announcements. You can watch a replay of the full program here. Automotive: Car buyers spend up to 15 hours online researching, comparing and learning.3 When people browse the web for automobiles, they want to see pictures and visuals of their dream car. 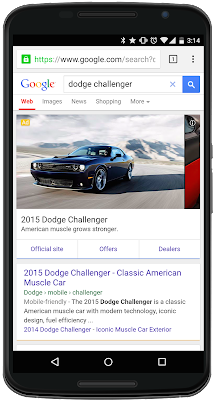 In fact, about half of Google searches for cars contain images.4 That’s why we introduced Automobile Ads - a new search ad format that takes you directly from Google.com to a beautiful carousel of car images that shows you how a car looks inside and out -- like how the sleek metallic finish looks with the black leather and wood trim. 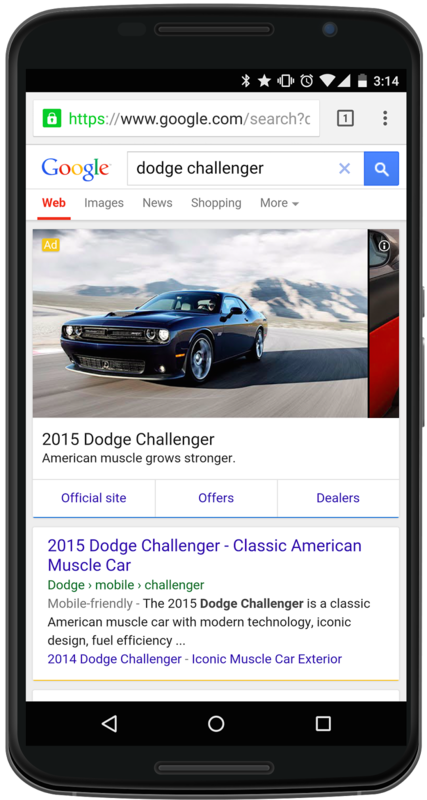 Tapping on an image brings up more information about the car, like horsepower and estimated MPG while tapping on the “Dealers” link takes you to a page with nearby dealer listings. 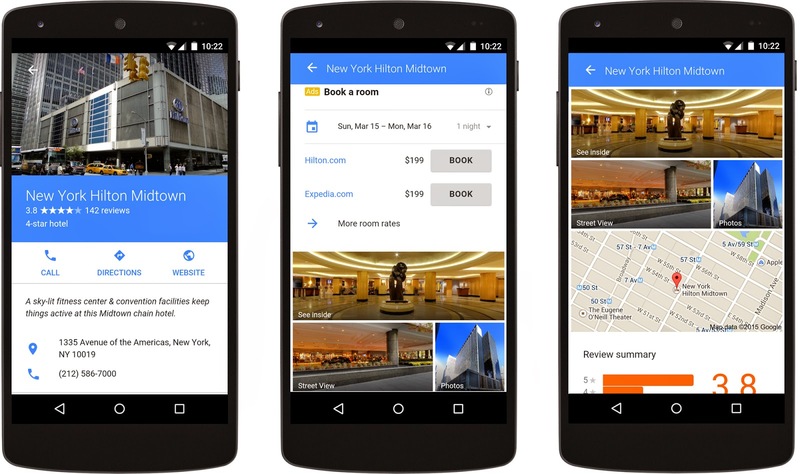 Hotel Ads: There are millions of searches for hotels everyday — that’s millions of potential hotel bookings. 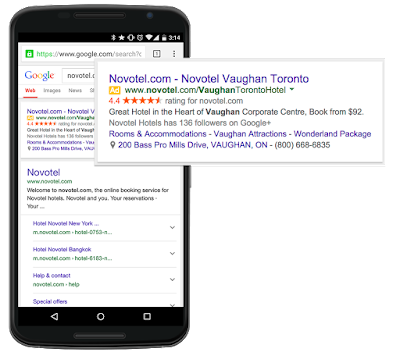 When people search for hotels, they’re looking for information like rates, availability, locations, user reviews, editorial descriptions, Google Street View, and high resolution photos. 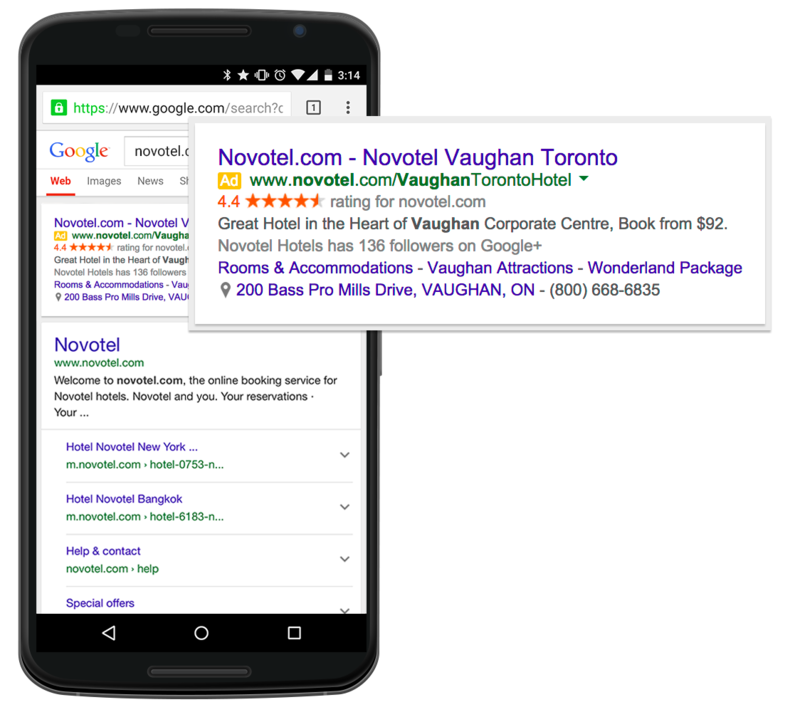 Today, we announced that Hotel Ads will start to show globally for hotel partners around the world, one click away from Google.com. Hotel Ads show current prices from a variety of sources and when a traveler is ready, they can select “Book” to complete their reservation on the partners’ sites. Mortgages: Buying a home is one of the biggest financial decisions in life, so understanding your options and having the right tools is critical. The newest addition to Google Compare in the US is coming soon: mortgages. Whether someone is a first-time home-buyer or looking to refinance, consumers will soon be able to find the latest mortgage rates from multiple mortgage providers, and review a customized set of criteria like interest rate, terms of the loan and fees. They’ll be able to apply directly with an approved lender or speak to a qualified adviser for more information, directly from the Google search ad. Consumers engage with brands, across billions of monthly searches, billions of hours of videos watched every month, and billions of interactions with various sites and apps. The sheer scale can be staggering, but with automation you can master the complexity and show exactly the right ads for consumers’ intent and context. Automated Bidding: AdWords bid strategies are setting billions of bids per day5 for tens of thousands of advertisers, enabling you to be more efficient and effective. Today, we introduced a new reporting dashboard that provides more transparency and control as you evaluate the performance of bid strategies over time. New simulation tools also show advertisers the tradeoff between volume and cost at different CPA targets. Dynamic Search Ads are a powerful way to automatically show timely and relevant ads based on the content of your website -- without the need to manage keywords. Today, we announced significant enhancements, including recommended category targets based on your website's content, suggested CPCs for every category and more visibility into the ads that will show and pages where your customers will land. Marketers need to ensure they’re measuring all the moments that matter -- from first impression to final conversion. To do so, you need methods and metrics that speak to today’s increasingly complex path to purchase--across devices, apps, calls, and stores. By incorporating all of these touchpoints, marketers can measure the full impact of their campaigns and make better decisions for their business. AdWords attribution: We are making it easy for search marketers to move beyond a last-click attribution model. You’ll be able to select an attribution model for each of your conversion types. The choice you make will be reflected in your AdWords reporting and integrated into your automated bidding. We’re also introducing data-driven attribution, which uses your own conversion data to calculate the actual contribution of each keyword across the conversion path. Cross-device conversions integrated with automated bidding: New consumer paths to purchase make it more important than ever for marketers to measure activities that start on one device and are completed on another. Later this year, you’ll be able to take action on these insights when cross-device conversions are integrated into automated bidding. This is part of a broader update that will give you the option to include cross-device conversions as part of the Conversions column. Marketing experiments: This morning, we introduced new tools to help marketers measure the incremental impact generated from your Google ads. HomeAway, a global vacation rental marketplace, worked with the Google account team and learned that its Google Display Network ads are driving a 49% lift in click-related traffic to its website. Read the case study here and reach out to your AdWords account team to learn more. Google is a company built on intent and immediacy. Our mission has always been to connect people with what they are looking for in the exact moment they are looking. These are moments that matter to consumers, to marketers and to us at Google because they are when decisions are being made and preferences shaped. Thank you to everyone who attended the AdWords Performance Summit or watched the livestream. I can’t wait to see the great things you do with these new products. We look forward to continuing this journey with you: delivering the best possible experiences for consumers in the moments that matter. Welcome to the AdWords livestream 2015! Today, Jerry Dischler, VP of Product Management, will announce the next generation of AdWords innovations. Tune in to the livestream below. We look forward to engaging in the conversation with you at #StepInsideAdWords.